Ferrari Black Eau de Toilette 75ml Gift Set. 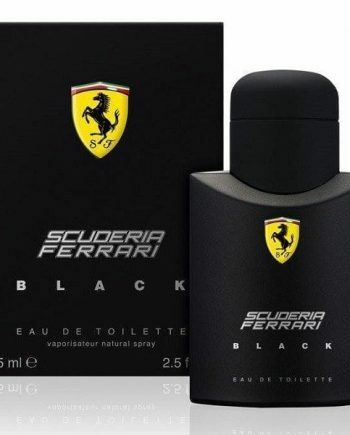 Ferrari Black by Ferrari is an Aromatic Fougere masculine Eau de Toilette that is both fascinating and desirable. 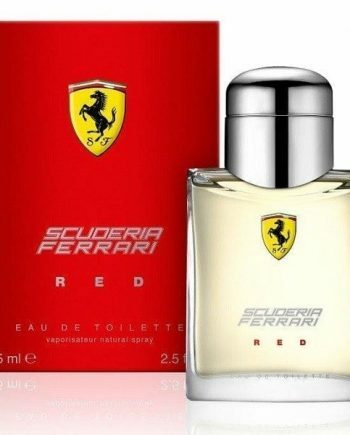 The top notes exude excitement through a combination of Lime, Bergamot, Red apple and Plum. The heart notes of Jasmine, Rose, Cinnamon and Cardamom create a mystery. The base notes of Cedarwood, Vanilla and Amber complete the sensuous scent. The sharp, woody and mossy accords give it a casual yet luxurious fragrance. The predominant note is Red Apple and the perfume has moderate longevity. Gift set contains an Eau de Toilette 75ml Spray & Shower Gel 150ml.